We are pleased to introduce our Board of Advisors, who work diligently to ensure that the team at Globe Composite Solutions is “Transforming Complex Problems into Extraordinary Solutions” for our customers around the globe. 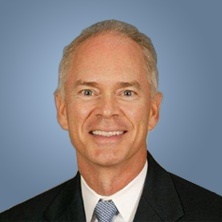 Carl W. Forsythe serves as the Chairman of the Board and is the CEO of Globe Composite Solutions, Ltd. 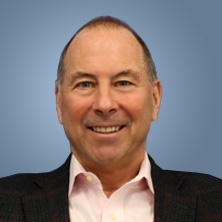 He has held numerous executive positions at both private and public companies including: KISCO, a boutique venture capital company; Advanta Mortgage Company; Home Savings/H.F. Ahmanson; Bank One, Michigan National Bank and Comerica Bank. Mr. Forsythe began his career at Ford Motor Company, where he was on the finance staff for North American Automotive Operations. Mr. Forsythe is on the board of SharePlus Bank where he is also a member of its Executive Committee. He is also serves as an advisor to the Cornell University Entrepreneurship Council , iCracked Inc. and Naked Rebel Winery. Pete is the Managing Partner for Capital Flows, a private investment partnership investing in both public and private companies worldwide. Prior to that, he was a Mutual Fund Manager for Pioneering Management’s Micro-Cap Fund. 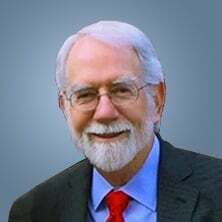 Taussig is a 1982 graduate of Cornell University’s Johnson School of Business and received his BA from Trinity College. Mr. Dyson is the President & COO at Globe Composite. 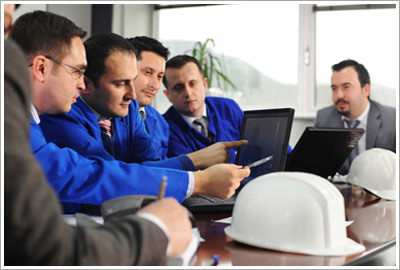 Mr. Dyson has extensive experience in creating forward-looking operational teams of professionals trained to strive for continuous improvement in all aspects of manufacturing including sourcing, procurement, new product introduction, assembly, distribution and customer fulfillment in a safe, associate centered world-class enterprise. 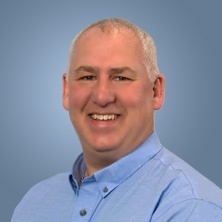 Prior to joining Globe, Mike was the Vice President of Operations for Littefuse/Cole-Hersee, a world leader in the manufacturing of heavy duty and industrial vehicle electrical switching solutions to OEM and aftermarket customers. His background spans union and non-union, multi-ethnic domestic and international organizations from Mexico to Asia. He holds a BS degree in Chemistry from the University of Massachusetts-Boston. 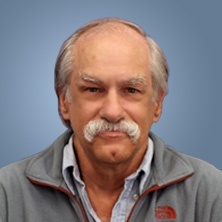 Jerry Mills is retired chair of the Baker Botts intellectual property department, and he has extensive experience in the preparation and prosecution of electronic patent applications, licensing and enforcement of patents, and implementation of corporate intellectual property protection programs. Mr. Mills worked as a patent examiner in the electronic arts in the United States Patent and Trademark Office in Washington, D.C. He has served as an adjunct professor in patent law at the Southern Methodist University School of Law. Mr. Mills has a J.D. from Georgetown University Law Center and a B.S. in electrical engineering, Texas A&M University. He is a Board Trustee for the Dallas Theater Center, a Board Member for the Entrepreneurs Foundation of North Texas and a member of the Board of Directors for the Southwestern Computer and Information Technology Institute. Thomas A. Twomey retired in 2005 as the former Vice President of Air Force Programs for Raytheon Company. He was previously the Executive Program Manager for the Command and Control Product Lines program for the Hughes Information Systems Company. Mr. Twomey joined the Hughes Aircraft Company in June 1995 after completing a 28-year career in the United States Air Force. He retired with the grade of Brigadier General. From 1992-1995 he served on the Joint Staff, first as Deputy Director of Operations, National Military Command Center, then as Deputy Director of Operations, National Military Command Systems with responsibility for the National Military Command Center and national level alternate command centers. 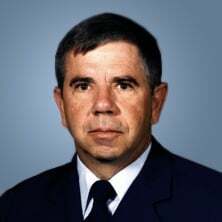 From 1990-1992, he served as the Assistant Deputy Chief of Staff for Logistics, Strategic Air Command. Mr. Twomey received his Bachelor of Science Degree from the U.S. Air Force Academy and an MPA from Golden Gate University. He is a graduate of the Squadron Officers School, the Air Command and Staff College, and the National War College. Mr. Keith is the President of the Hope Center Foundation. He is the former President of Promettre International Ventures, Inc., a closely held investment corporation involved in angel and venture capital financing since 1992. Mr. Keith was a co-founder of CompUSA, Inc., and served from 1987-1992 as Executive Vice-President-Finance, Chief Financial Officer, Secretary and Treasurer. Stan is also on the board of directors of SharePlus Bank, a publicly traded financial institution where he serves as chairman of the budget committee and is a member of the Audit, ALCO and Technology committees. 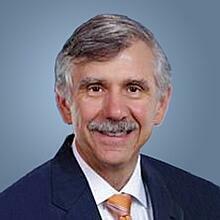 Mr. Keith began his career with Arthur Andersen & Co., an international public accounting firm. He is a Certified Public Accountant (Texas), and obtained a Bachelor's of Business Administration (Accounting) from The University of Oklahoma in 1981. A career submarine officer, Rear Admiral David M. Duryea (retired) possesses more than 30 years of executive leadership and management expertise. He commanded the nuclear-powered submarine USS Florida. As commander of the Naval Undersea Warfare Center, he led 6,500 civilian personnel in 15 locations across the U.S. and overseas while overseeing a $1.6 billion budget. Duryea has been awarded the Legion of Merit, Defense Meritorious Service Medal, and various other personal, unit and campaign level awards. He is a member of the Naval Submarine League and the Military Officers of America Association. Dave earned a B.S. in geomechanics from the University of Rochester’s School of Engineering and Applied Science and an M.A. in administrative sciences from George Washington University. Duryea is a certified Department of Defense program manager and has extensive experience working with Congress, local government, unions, law enforcement, industry, international partners, university research laboratories and federally funded research and development centers. He joined SUNY Cortland as vice president for finance and management in 2015. As the College’s chief financial officer, Duryea ensures financial solvency through development, oversight, planning and implementation of appropriate fiscal policies. 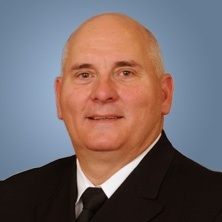 A native of Jackson, Mississippi, Rear Adm. Michael Jabaley graduated with high honors from Vanderbilt University in 1984 with Bachelor of Science in Mathematics and Computer Science, and was commissioned via Officer Candidate School in Newport, Rhode Island. Jabaley holds a master’s degree in engineering administration from Virginia Tech, a master’s degree in business administration from the Naval Postgraduate School, and is a graduate of the Command and Staff Course of the Naval War College and of the Joint and Command Staff Officer School of the Armed Forces Staff College (National Defense University). Jabaley’s sea tours include assignments aboard USS Drum (SSN 677), USS Ohio (SSBN 726), USS City of Corpus Christi (SSN 705) and command of USS Louisville (SSN 724) from May 2002 to August 2004. On shore, Jabaley has served on the staff of commander, Submarine Group 8 in Naples, Italy; as a technical assistant to the director, Naval Nuclear Propulsion; on the staff of the Joint Chiefs of Staff as an operations officer in nuclear operations; as senior inspector of the Tactical Readiness Evaluation Team and Force Navigator on the staff of commander, Submarine Force, U.S. Pacific Fleet; and as deputy commander, Submarine Squadron (SUBRON) 1 in Pearl Harbor. Jabaley served in the Virginia Class Submarine Program Office from 2006 to 2012, the last four years as program manager, delivering four of the Navy’s newest fast attack submarines. Jabaley was selected for flag rank in 2011. His flag assignments include Naval Sea Systems Command (NAVSEA) vice commander, command of Naval Undersea Warfare Center and NAVSEA deputy commander for Undersea Warfare. Jabaley was selected for his second star in March 2015 and relieved as program executive officer (PEO) Submarines in October 2015. His portfolio includes the Ohio Replacement SSBN and Virginia SSN programs, which are the 2nd and 3rd largest programs in the Department of Defense. His awards and decorations include the Legion of Merit and the Bronze Star. He is the first recipient of the Naval Submarine League’s Vice Admiral J. Guy Reynolds Award for Excellence in Submarine Acquisition. He is proudest of the accomplishments of his crew in earning the SUBRON-3 Battle Efficiency Award, awarded to USS Louisville in January 2004, and the accomplishments of his staff in earning the David Packard Excellence in Acquisition Award, awarded to the Virginia Program Office in October 2008.